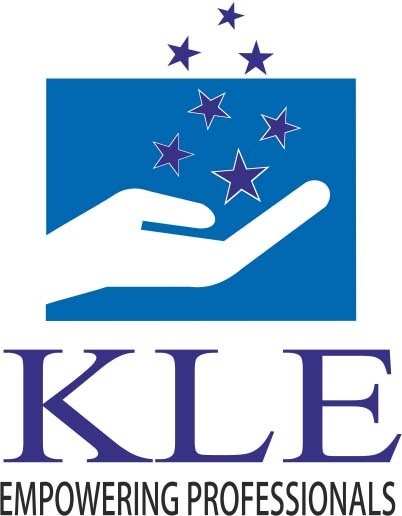 The K.L.E. Academy of Higher Education & Research was established on 13th April, 2006 as per the Ministry of Human Resource Development, Government of India, Notification No.F.9-19/2000-U-R(A) dated 13th April, 2006, under the recommendation of University Grants Commission. The K.L.E. Academy of Higher Education & Research, Belagavi offers various Undergraduate, Postgraduate, Post doctoral, fellowship and certificate programs in the faculties of Medicine, Dentistry, Pharmacy, Ayurveda, Physiotherapy and Nursing. The campus is very rich and vibrant in terms of having impressive infrastructure, renowed and extensively experienced teaching faculty, state of the art teaching hospital and medical research center, having 1820 beds and top notch diagnostic facilities under one roof. The Wi-Fi and digital library, e-learning and other facilities are at par with best campuses of the country and abroad. The University is among very few institutions of the country to boast of the entire campus having Wi-Fi solution for internet access. Another mile stone achieved is the collaboration with MedRC and establishment of Smart Teach server for students to access the high quality E-curricular content so that students can learn at their own pace as supplementary measure to the excellent classroom teaching. Ever since the establishment of the University there has been constant growth in exploring the new areas in education e.g. the establishment of the institute of Public Health, Institute of Clinical Research, School of Music starting need based fellowship programs in various specialties and the commencement of Ph.D program in health facilities and inter disciplinary research are the new endeavors of the University in the short span of three years of its existence. The existing curriculum is strengthened by integrating Information and Communication Technology (ICT) to meet the changing global demands. University has also incorporated teaching of Indian Constitution and Environmental Studies to Undergraduate students for making them responsible global citizens. To match the concept of Global village of the present era the K.L.E. Academy of Higher Education & Research, Belagavi has signed Memorandum of Understandings (MoUs) incorporating academic collaborations with ICMR, W.H.O; and several Universities in USA and also in SE Asia. The K.L.E. Academy of Higher Education & Research, Belagavi takes a very strict view against any kind of ragging activity and the entire campus is under strict vigil to prevent any ragging activity. The students in the campus are from different countries and different cultures and all the efforts are taken for smooth induction of the students into the campus and for that purpose student orientation programs, language classes for enabling the students to interact with local patients are regularly conducted. Facilities like bank, post-office, pharmacy, gym and indoor stadium, internet access, café, department store, travel booking facilities are provided in the campus itself. Calendar of events delineating the date of examination schedule and other important curricular events are provided to every student at the beginning of academic session thus enabling the students to plan and pace their studies well in advance. The K.L.E. Academy of Higher Education & Research follows the Goals set in the form of “VISION 2020” document, which aspires to take the K.L.E. Academy of Higher Education & Research, Belagavi to far greater heights. “ To be an outstanding university of excellence ever in pursuit of newer horizons- To build self reliant global citizens through assured quality educational Programmes”. • To promote sustainable development of Higher Education consistent with statutory and regulatory requirements. • To plan and continuously provide necessary infrastructure, learning resources required for Quality education and innovations. • To stimulate, to extend the frontiers of knowledge, through Faculty Development and Continuing Education Programmes. • To make research a significant activity involving Staff, Students and Society. • To promote Industry / Organization, Interaction/Collaborations with Regional National / International bodies. • To establish healthy systems for communication among all stake holders for vision oriented growth. • To fulfill the National Obligation through Rural Health Missions.